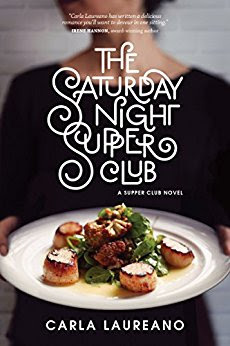 The Saturday Night Supper Club is my first Carla Laureano book, but it won’t be my last! This was such a great book! I really loved everything about it. I think I need to be the best friend of a chef now! The food will make you salivate and search in your refrigerator for something good to eat. Hopefully, yours will be stocked better than mine!! I really liked Rachel. She went through so much and worked so hard to get where she was. 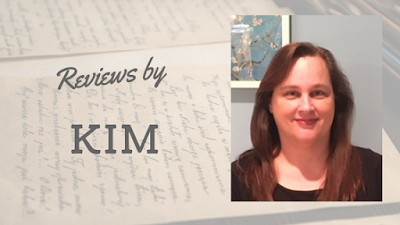 I loved her spiritual growth throughout the book. I also really liked the friendship between Rachel, Ana, and Melody. Alex...If I wasn’t married, I might swoon a bit but, I am, so, I won’t! He was so wonderful, kind, and caring and well just...perfect! He brought out the best in Rachel and when they were together, well, in my opinion, those were, hands down, the best parts of the book. I also really loved his relationship with his sister and his willingness to help her out however he could. The faith thread was woven nicely throughout the book without being too preachy. And the sneak peek of Brunch at Bittersweet Cafe, which is Melody’s story, hooked me immediately! I'm eager to see what's next for Carla! When is Too Early for Christmas Books?